In honor of their 20th anniversary, Pokemon kicked off its birthday celebrations with their first ever Super Bowl commercial. They purchased a 30-second ad spot in the Big Game. Pokemon’s first video games, “Pokemon Red” and “Pokemon Green,” were launched on Nintendo in Japan on February 27th, 1996. Can you believe that was really 20 years ago? These rookies jumped right into the Super Bowl action! On January 25th, they released the extended version of the complete Pokemon Super Bowl 50 ad, making them the first advertiser of the season to reveal their ad. In the mesmerizing commercial, kids from around the world declared, “I can do that” to the beat of an ever more intensive drum. The commercial closed by encouraging fans to “train on” and prepare for the next battle. What’s Your Favorite Pokemon Moment? 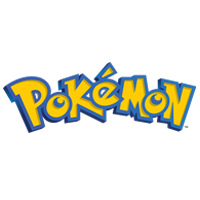 The company also launched a #Pokemon20 campaign on social media, asking its fans to share their “favorite Pokemon moments” with the hopes of broadening their engagement with fans.